Ultradent makes some of the best paintless dent repair tools available. They offer some of the top dent lights and stands available as well as about every tool and accessory you could think of. Head over to the Ultradent Website to check out some of their dent tools and accessories. 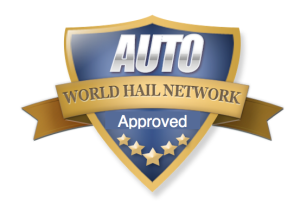 Don’t forget to mention the World Hail Network when ordering from Ultradent! The first time that I used a Ultra Dent Light was in 2003. I had really been struggling in a hail storm using the old fluorescent fixture with PVC tubing spray painted neon yellow that weighed a ton and burned your eyes out. My friend Larry had just ordered his new light and I teased him about spending a bunch of money on a light just because it looked like something out of a Star Trek episode. When Larry left for lunch, he wheeled his new Ultra light over to the truck that I was working on. He told me to give it a try. Before Larry returned from lunch, I had already ordered two of my own. The great shadow the lights produced helped improve my quality and speed and I began to really love fixing dents. Since, I have formed friendships with a lot of the great people at Ultra Dent and have ordered and recommended tons of tools, lights and accessories. There is a reason why Ultra has become one of the leading manufacturers of PDR tools. Read about the next term: Whale-Tail – A dent tool used repair dents in braced areas.